Exude magnetism with the Ermenegildo Zegna ZegnaIntenso Eau de Toilette fragrance, a deep and resonating fragrance for men. The most sensual of the Zegna fragrances, Zegna Intenso expresses the power and intensity that is firmly rooted in the timeless brand. A chance encounter and the promise of an intense moment full of unexpectedness and sensuality. A fragrance created in the image of a man for whom intensity is a certainty. The Zegna Intenso fragrance embodies a vibrant emotion. It is a scent of contrasts: on the light side are extremely fresh notes: green mandarin and Italian lemon with the subtle, spicy touch of cardamom and pink peppercorns. On the dark side are dense, oriental notes: the depths of iris and vetiver, the sizzle of amber and the woody notes of cedar wrapped in the rich scents of sandalwood vanilla, tonka bean and musk. Ermenegildo Zegna ZegnaIntenso Eau de Toilette Spray is rated 4.5 out of 5 by 2. Rated 4 out of 5 by CHOWCB from EXCELLENT Ermenegildo Zegna Colognes up the intensity and live life in style .The fragrance is created with radiant, light notes of green mandarin, Italian lemon, pink peppercorn and cardamom, fluctuating with deep notes of iris, vetiver and sandalwood and absolutely nothing negative to say about it. Rated 5 out of 5 by theflyingpig from Excellent value I have purchased before from a high street supplier and paid double what I paid from Escentual. I thought that it must be snide, but I have compared the two and they are identical. Excellent service too, arrived the day after I ordered. 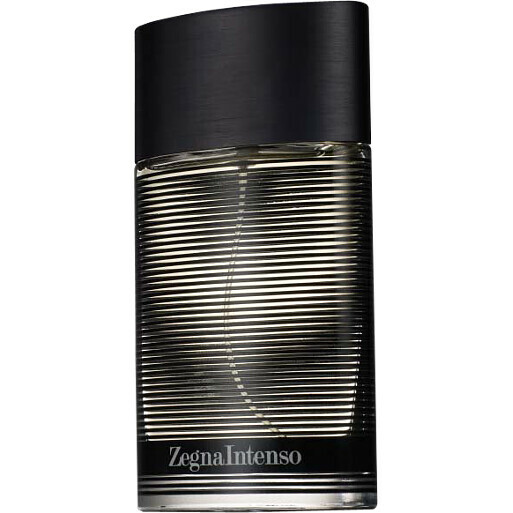 Zegna Intenso is exactly what it says on the description and the ladies love it - on men that is!